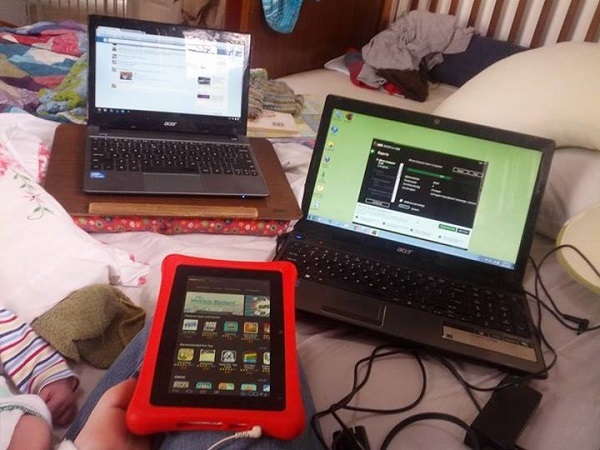 This week we asked: What does screen time look like? 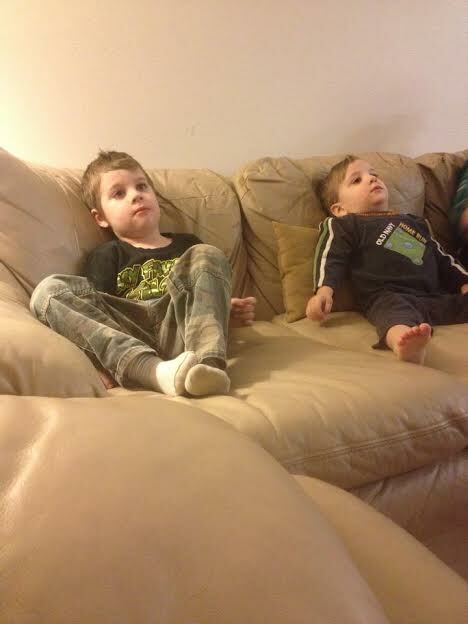 Andrew and JohnDavid, enjoying Thomas the Train after naps! 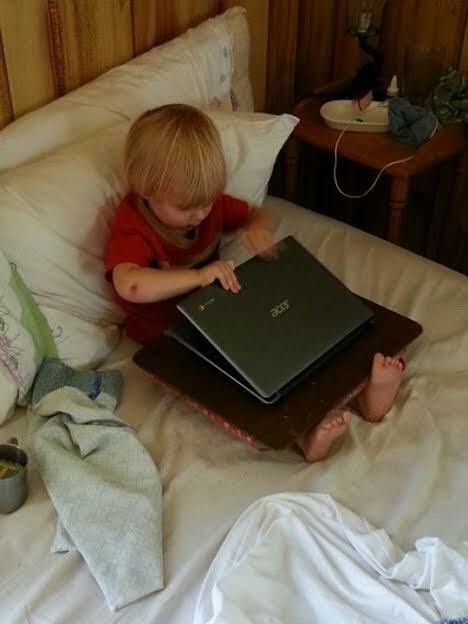 Elliott tries to sneak a little screen time on mama’s laptop! Kellie at Our Mindful Life wonders how many screens she needs to figure out how to install this program on the new tablet. 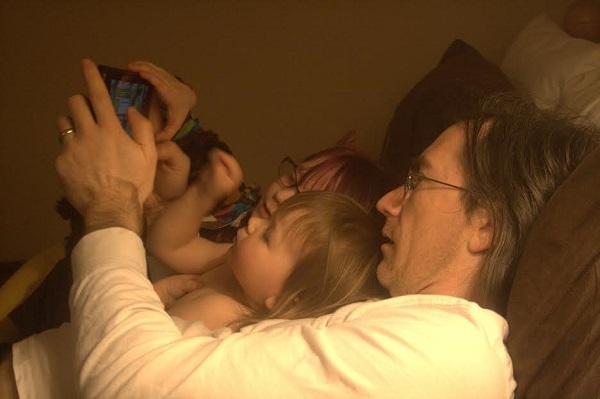 Both kids love helping Daddy play Plants VS Zombies. 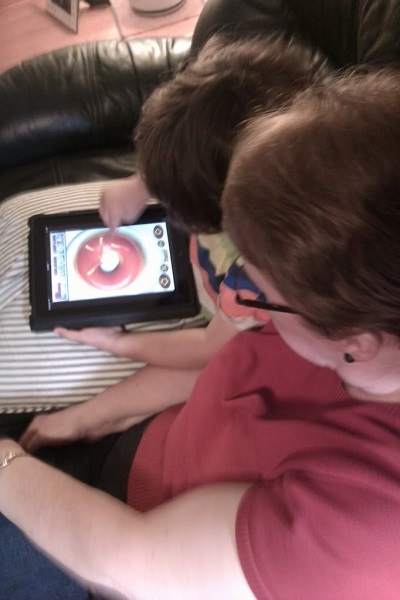 Mikko loves to connect with Nana by using her iPad! It made his parents nervous when Mikko learned how to work the remote by himself. 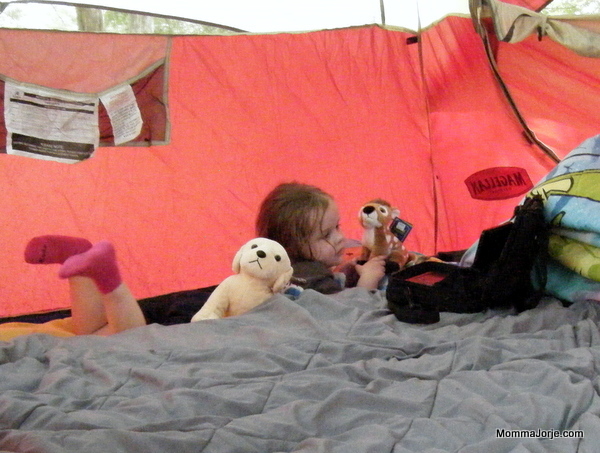 Sasha takes a little Screen Time break in the family tent. 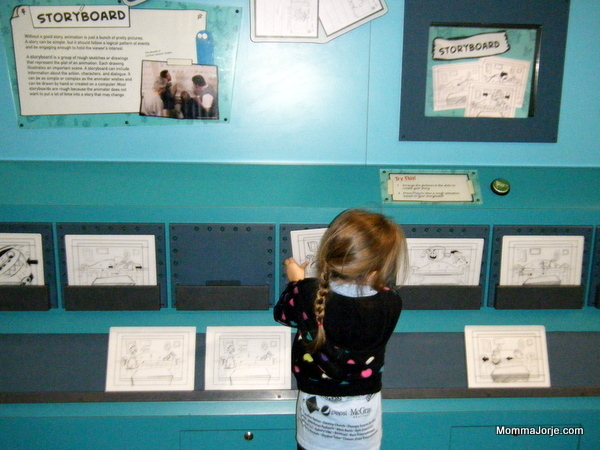 Sasha enjoyed this animation exhibit where she got to choose storyboards and then see them played for her. Sasha’s mommy blogs at Momma Jorje. 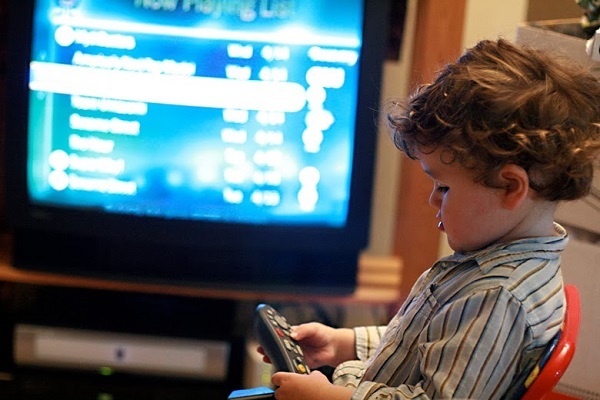 Tell us: What does screen time look like in your family? 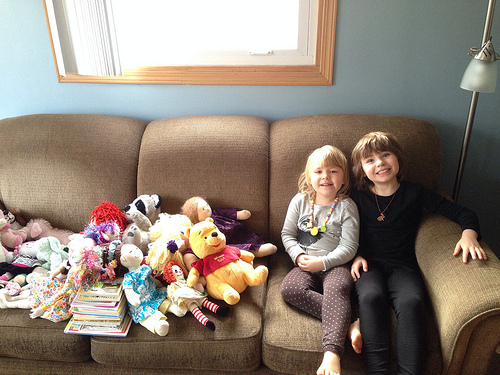 Hi, we are long-time fans of Wordless Wednesdays but have never commented before. Just wanted to thank you so much for sharing these photos of positive, family-oriented screentime within a nurturing natural family context. 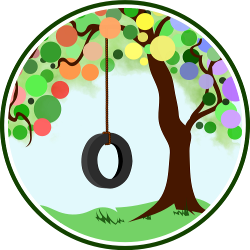 Please feel free to come visit us at http://mindfullchildstudio.blogspot.ie!